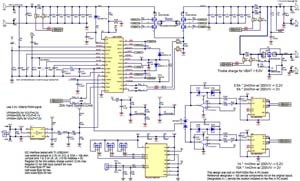 PMP10594 is a synchronous 4-switch buck-boost converter reference design which utilizes the LM5175 controller for battery charger applications. The output voltage set point can be adjusted by a PWM signal over the range of 7.1V to 9.2V. I2C programming allows independent control of the average input current and charge current. Full scale input current limiting is 6A, while charge current is programmable to 12.5A. The LM5175 average current loop sets a maximum output current of 20A, which should never engage under normal circumstances. 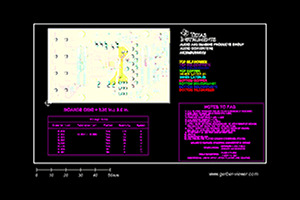 Additional pulse-by-pulse current limiting is inherent in the current-mode controller, making this a very robust design. A battery disconnect switch is used to provide trickle charging if the battery voltage is less than 6V.